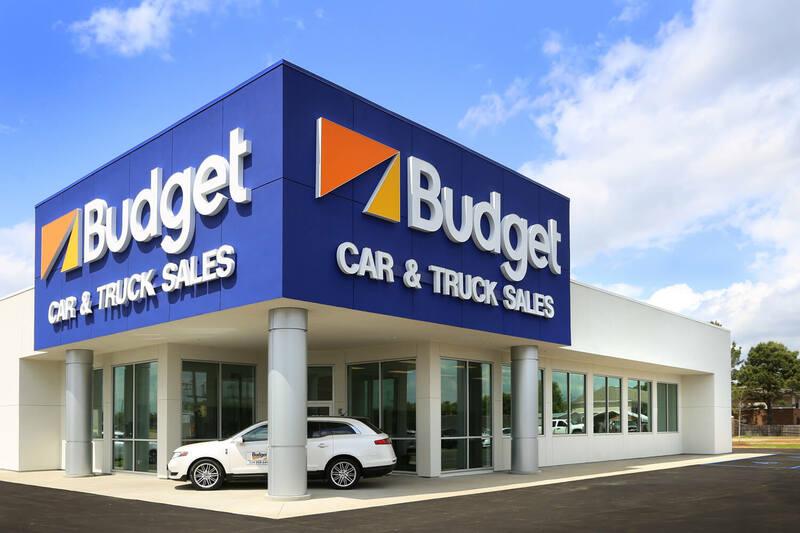 Budget Car and Truck Sales is a new car dealership in Prattville, Alabama. For several years, they operated from a Sales Trailer at this same location. 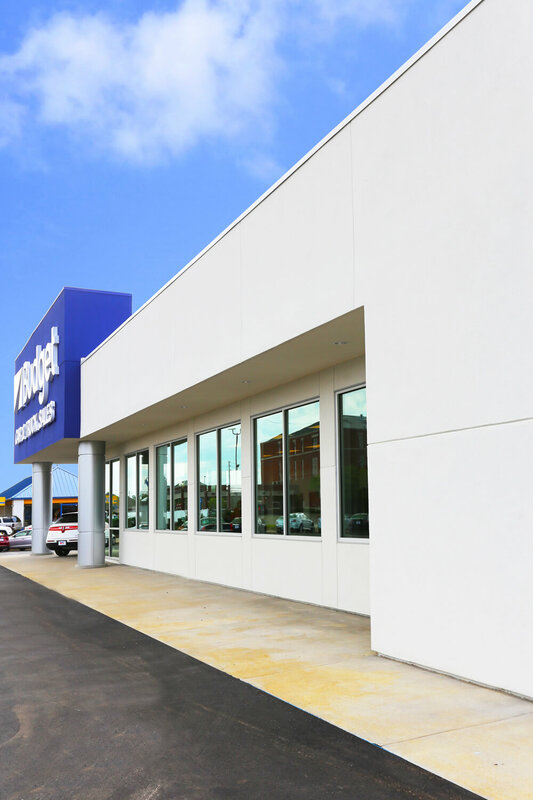 Therefore, with a new retail building, sales are continuing to increase. In addition, both employee and customer comfort and satisfaction have increased. 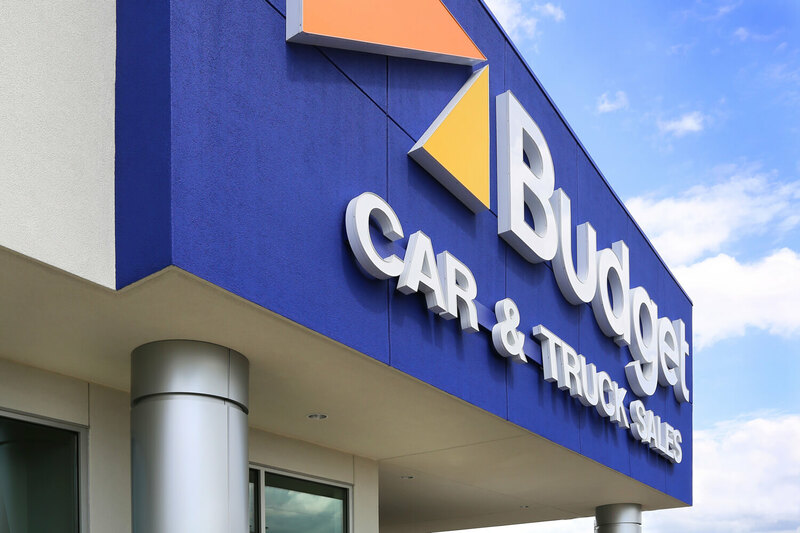 Overall, the dealership features a prominent corner entrance painted in the corporate colors. 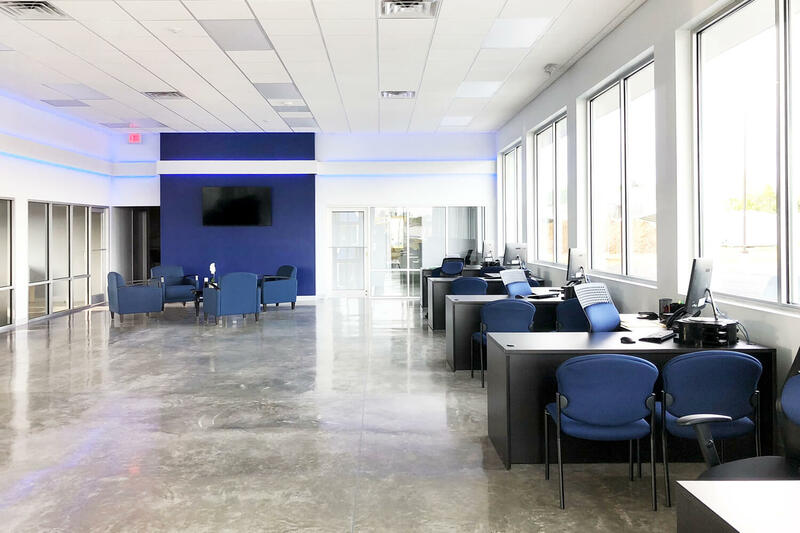 Inside, an open sales area features polished concrete floors. Also, storefront windows overlook the car lot. The Sales Team have aligned their desk next to the windows for the greatest visibility. 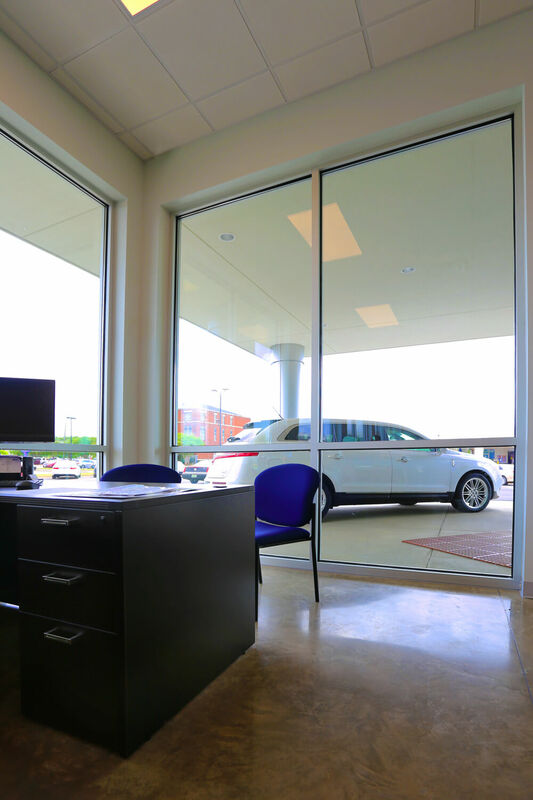 Furthermore, Management and finance offices feature glass storefront overlooking the showroom floor. For the customer, we included several amenities into the design. 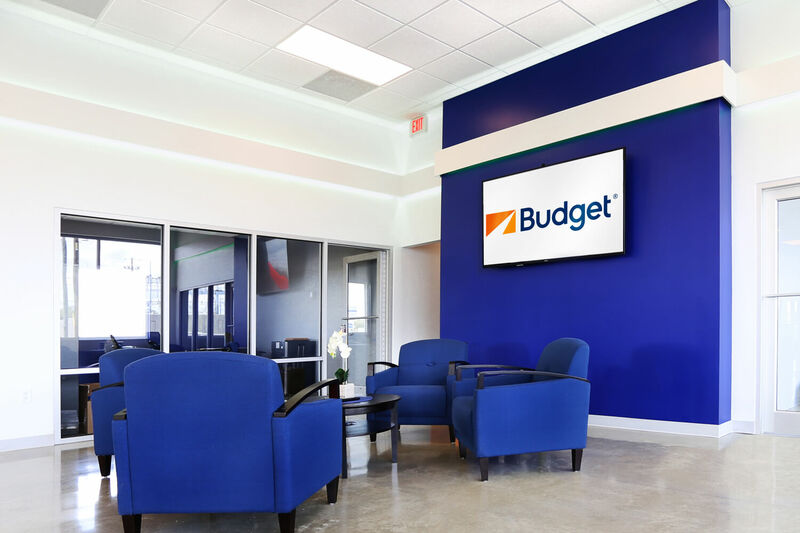 First, the customer waiting area includes a television and hospitality station. This area offers refreshments and relaxation to each patron. Next, a blue feature wall becomes the focal point of the interior. Finally, the design includes a conference room, accounting offices, and a vehicle detailing area.